Saving money isn’t always easy. Between bills, student loans and brunch with friends every weekend, there’s a lot that drains your paycheck. But what if it stashing cash away could be a no-brainer? Well, there might be an app for that. The Digit app claims to save the perfect amount of money for you every day automatically. And since we’re all about trying new apps that can help us improve our finances, we tested it out. Here’s what we found. Before you download Digit, know the basics. It’s free to download for both iOS and Android users. The app is free for the first 30 days, but then it costs $2.99 per month. Digit lets you set savings goals so you can work toward stashing cash away for specific things like a vacation or paying off student loans. 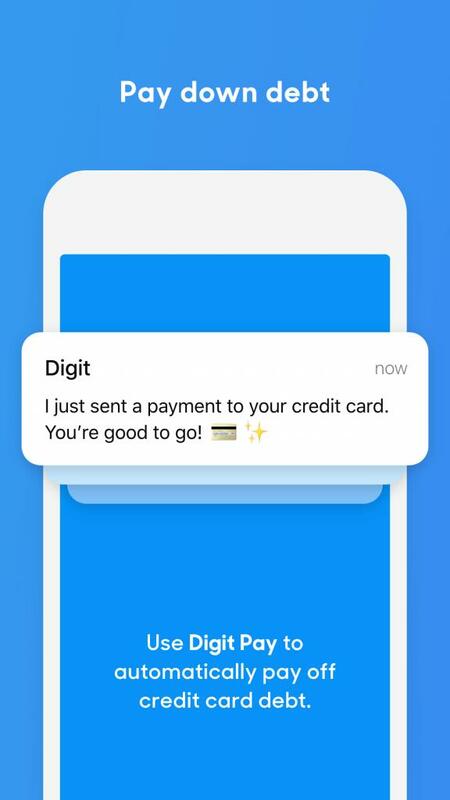 Signing up is super easy — Digit just asks for your phone number, a password and then a bank account, which you can connect in two minutes. Saving is automatic, but you can pause it, withdraw the money from the account or deposit more money manually if you really feel like saving that day. Digit’s Balance Protection feature prevents the app from over-drafting money from your account. It will even transfer money back when it detects that your account fell below a certain number. Digit helps you save more money with a 1 percent savings bonus every so often and through referral bonuses. The money that is saved in your Digit account is FDIC-insured up to $250,000, similar to your regular savings account at a bank. With Digit, saving money starts immediately. We then set up Balance Protection, which took two seconds. Everything is on the main page in the app, so we just scrolled down and clicked on the tile to set up the balance. Since we’re just testing out the app, we chose $200 as the balance we didn’t want to go below, but you should always have enough money in your checking account to cover all of your monthly expenses. Goals can help you pay down your debt. Digit lets you create goals for just about anything you want. The “Rainy Day” goal is the first one that is already pre-selected for you in the app, but you can create ones for vacations, gifts, concert tickets and more. Just decide how much you want to save for each and by when. However, there are a few goals you might want to create before any others. When you create the goal “Pay Off Credit Card” in Digit, you can connect the credit card account to the Digit account. 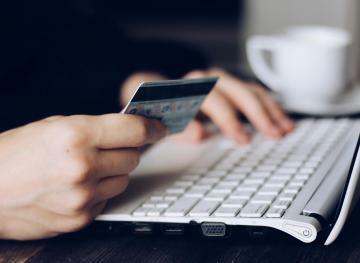 Your credit card balance will then be synced with your savings goal so that every penny you save goes toward paying down that high-interest credit card debt. The best part is Digit’s algorithm, which analyzes your credit card balance and the amount of money you have in your checking account. This allows the app to decide how much more you can put toward that credit card debt every day. So rather than trying to pay just the monthly minimum or a little bit more every month, Digit helps you work toward paying it down every single day. At the end of the month, the money that Digit collected daily for that goal is then transferred to your credit card account as an extra payment toward the principal. These automatic payments could seriously speed up the time that it takes you to pay off your credit card. Digit chats with you about your money. The app is very simple, with just one main page to scroll through and use. 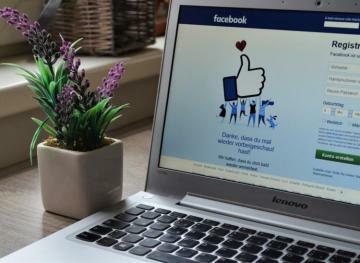 However, there is a chatbot to whom you can ask questions if you want more guidance. 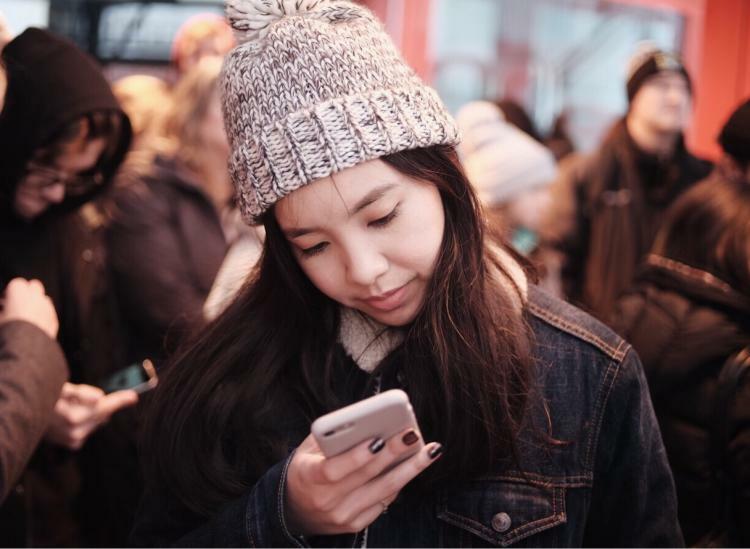 When we first clicked into the message, which is at the top righthand corner of the main app page, Digit told us that it would save some money for our “Rainy Day” goal right now and that we would see it transferred from our checking account to our Digit account within two or three days. 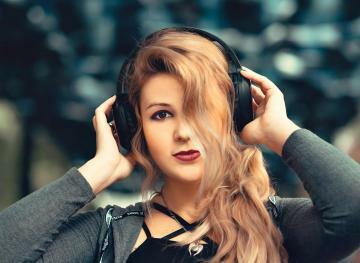 The chatbot can also tell you how much you’ve saved so far, what your checking account balance is, what your recent transactions are, how to make a withdrawal, how to save more money manually and how to pause saving. Digit pays you to save, too. On the main page of the app, there are a few more tiles that mention how you can save even more money. The first was about our 1 percent savings bonus, which the app said would come in 88 days. That seems like a long time, but depending on how much we have saved by then, that 1 percent could be a pretty penny. 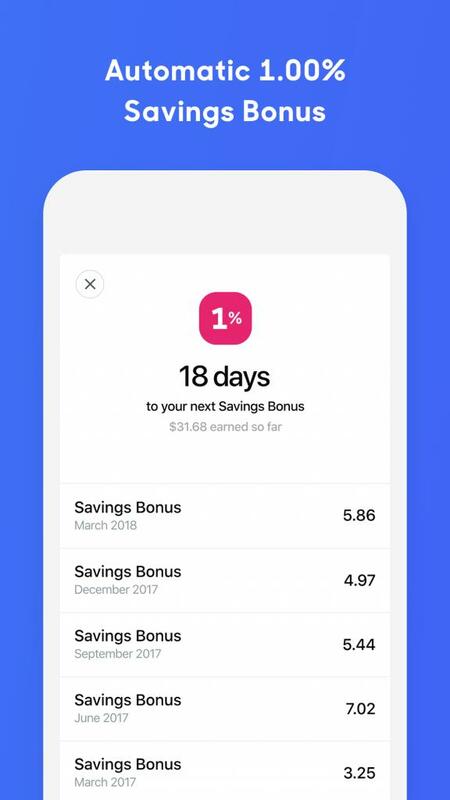 According to Digit’s website, the 1 percent savings bonus is given every three months that you autosave with the app. The other tile said that we could earn up to $100 by referring three friends in the next seven days. To claim the bonus, all we would have to do is get three friends to sign up for Digit and make an autosave into their accounts by the end of the seventh day. Our three friends would get a $5 bonus and we’d earn a $5 bonus for the first two friends. Then we’d earn $90 when the third friend makes their first autosave within the seven-day period. Besides this timely sign-up bonus, though, you’ll always have a referral link that you can send to people. When they sign up with that link, you get $5 added to your Digit account. Saving money should always be this easy. We totally get that saving money is tough when there are so many other things to spend it on. But with Digit, you could end up getting into a mindset where saving money becomes simple, affordable and automatic — to the point where you forget you’re even doing it. While Digit is free for the first 30 days, it’s $2.99 per month after that. If you’re looking to save more money, spending a few bucks a month just for an app to do it for you might not be worth it. However, we suggest you try the app for the free 30-day trial and then take those automatic savings habits and continue them on your own with your checking and savings accounts. The majority of major banks have automatic transfer features where you can move money from one account to the other every week, just like Digit does, but it doesn’t cost you a cent. Whatever you decide to do, just work on saving money and paying down your debt. All it takes is a few bucks a week to make a difference in your finances for your future, and we think that’s totally worth the price.